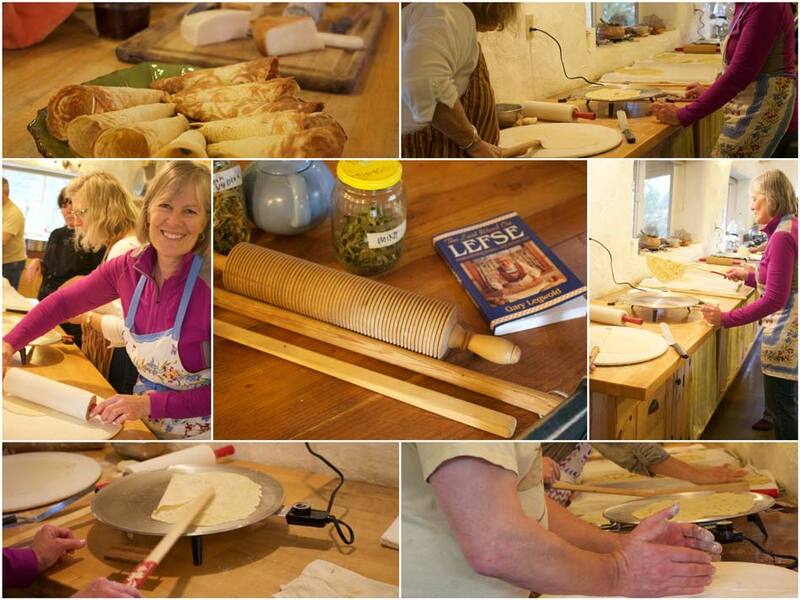 11:30am – 3:30pm A Saturday in the Country at Quillisascut Farm; Let’s Make Lefse. Our friend Beth, along with her mom, Karen, will share a Norwegian holiday tradition of making lefse. Karen, shared this description. We enjoy getting together 2-4 weeks before Christmas to make lefse, drink a little wine, and make a huge mess of the kitchen with flour all over the place. If we get too ambitious and try to make too much lefse at one time we kind of end up in “lefse hell” as Beth has so appropriately dubbed it. Lefse is a Norwegian flat bread made with potatoes and served during the holidays. 11:30 am Welcome to the farm. Come in and savor your time on the farm. Sip a cup a tea, enjoy a sampling of Quillisascut cheese, stir the kettle of plum butter that is simmering on the stove, and make new friends. 12:00 Farm tour: Rick will take you around the farm, harvest leeks for soup, pick up any lingering walnuts that have fallen from the trees, and introduce you to the goats and chickens. 3:00 pm Tasting of our handmade creations.